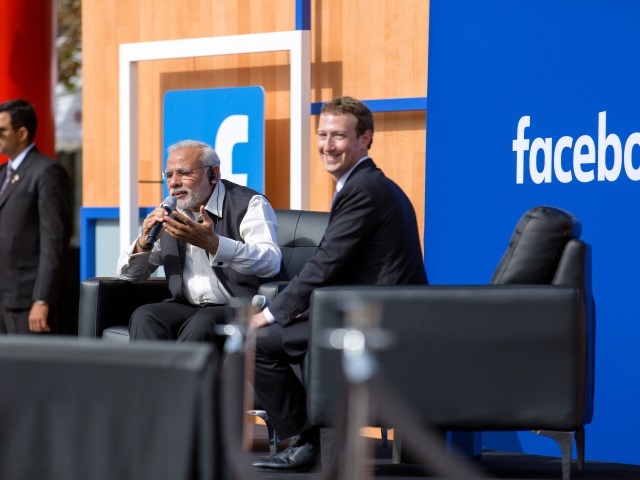 Mark Zuckerberg’s busy weekend took him from the United Nations Saturday back to Facebook headquarters in Menlo Park, Calif., Sunday, where he participated in a Q&A with Indian Prime Minister Narendra Modi. Facebook co-founder and CEO Mark Zuckerberg’s busy weekend took him from the United Nations Saturday back to the social network’s headquarters in Menlo Park, Calif., Sunday, where he participated in a question-and-answer session with Indian Prime Minister Narendra Modi. When I got onto social media, I didn’t actually know I would become prime minister at some point. I never, ever did think that social media would actually be useful for governance. I think the most important thing for any individual is that you are accepted for what you are. If the world accepts you, I think that is something that makes you feel happy and satisfied. When I came into government, all of these doors opened for me. I saw that one of the problems that governments have is that there is a big gap between the government and the people. Sometimes, five years go by, you have the next elections and you come to know that you were just not connected with the people. With social media, you have daily bonding. The strength of social media today is that it can tell governments where they’re going wrong. It can stop them from moving in the wrong direction. It can make them aware about going in the wrong direction and gives them the opportunity to do a course correction. We used to have elections after every five years. Now we have them after every five minutes. I think I would say to leaders that you are not going to gain by running away from social media. You must try and join it. You will be able to have a good government if you have many channels of information. You need real-time information. Readers: What did you think of Modi’s comments?